Need the flexibility of hosting workshops and other type of events? With Event Espresso you can manage workshops, classes, seminars, conferences, and more! 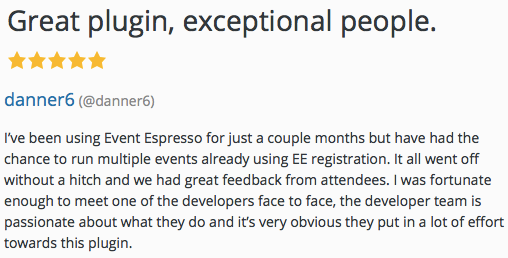 Yes, a WordPress website is required to run Event Espresso. However, our sister company, Event Smart offers event registration websites for workshops using Event Espresso and WordPress as the backbone, where events, calendars, and pricing option selectors can then be embedded on any website, such as Weebly, Wix, and WordPress.com websites. I want to show my workshops on a calendar. Can I do that with Event Espresso? Yes, with the Events Calendar extension, your workshops will automatically appear on a calendar. Your attendees can browse to a workshop and then click to begin a registration. The Events Calendar add-on is available as a separate purchase for the Personal support license or Developer support license. However, it is included in the Everything support license. I want to allow more than one participant to register for my workshops at a time. Are group registrations available? Can I create a workshop that has different dates? Yes, you can create a workshop that has different dates in Event Espresso by using the multiple date times and pricing options feature. Here is a video tutorial on how to create an event that has various dates that an attendee can choose from. I have a workshop that has different pricing options. Can I create that in Event Espresso? I need to create courses or a series of related workshops. Can Event Espresso help me with with courses? 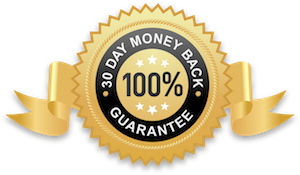 Yes, you can create a workshop that has different dates or sessions across a period of time and allow attendees to register. Here is a video tutorial on how to create a course in Event Espresso. You’ll receive your funds as your attendees register for your workshops by partnering with a secure payment service and adding your API credentials to Event Espresso. Some of our event organizer favorites are Stripe, Authorize.net, Braintree, or PayPal. Or you can choose another supported payment service. Start a conversation with us so we can help you move forward with your workshops today.